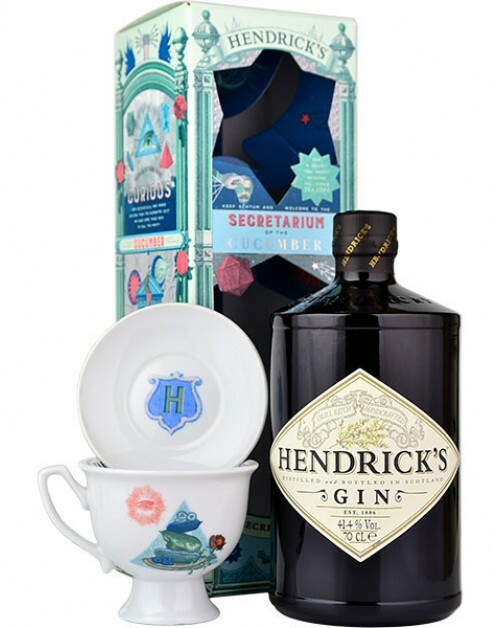 Hendrick's Gin Secret Order Gift Set contains a 70cl bottle of this brilliant gin, made with cucumber, cubeb, elderberries, yarrow and Bulgarian rose - as well as a tea cup and saucer with quite eclectic designs. Enjoy Hendrick's with a slice of cucumber, just to enhance one of this great gin's main botanicals. A very refreshing gin.